Arriving at the Universitetet metro station. You can travel by the metro (underground/tube) from the central station in Stockholm (T-centralen). Take the red line northbound to Mörby Centrum and get off at the station ‘Universitetet’. The journey takes about 10 minutes. 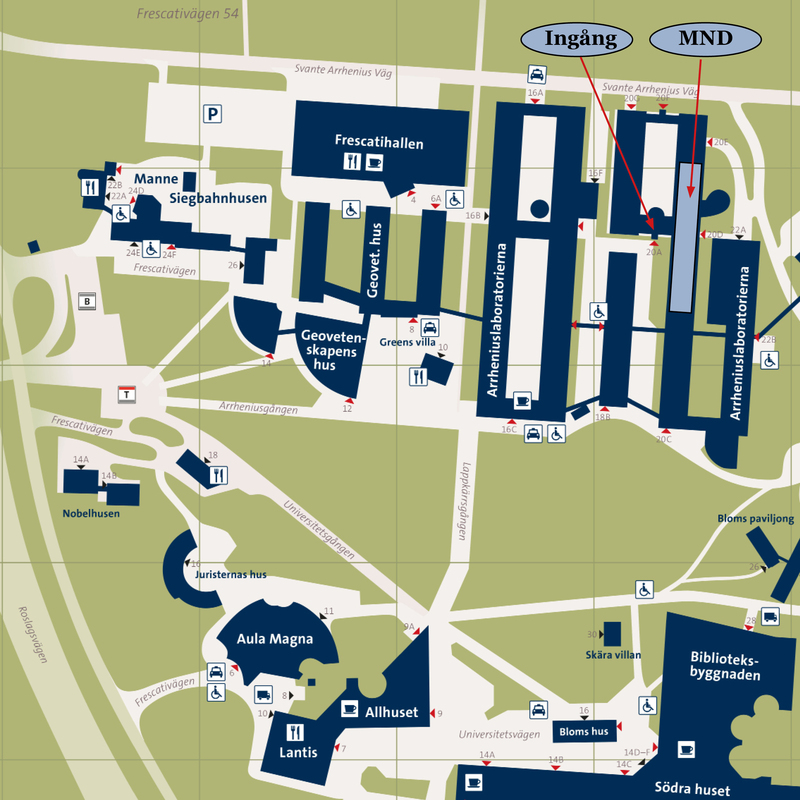 Take bus numbers 50, 540, 608 and 670. to the University (Get off at 'Universitetet norra' for the main campus). Tickets must be bought before travel. There are a number of airports in the wider Stockholm area, including Arlanda, Skavsta, Västerås and Bromma. We are located at Svante Arrhenius väg 20 A. There is currently construction near our building so the google maps above may not reflect what it actually looks like at here.